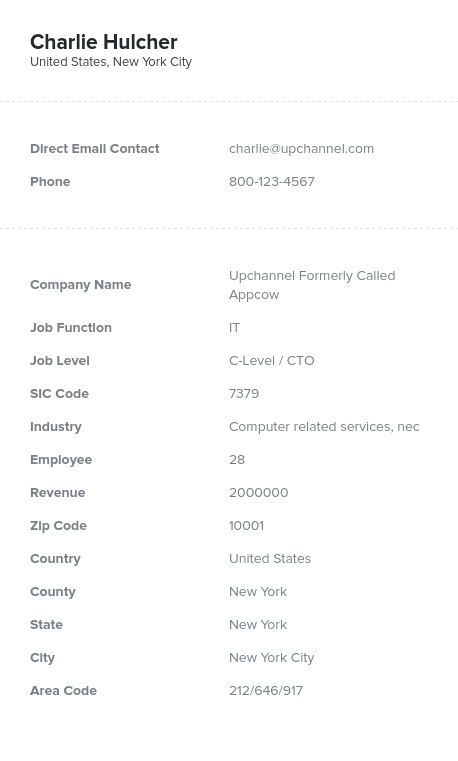 Buy a CTO email database from Bookyourdata.com and get all of the key direct contact information of some of the most powerful B2B leads available. Market your hardware or software to the VPs who are often in charge of all IT buying decisions! Email VPs of information technology moments after you buy our organized business contact list, which is ready for you to download right away. Spark innovation when you reach out to teams who need the software, tools, outsourced help-desk service, servers, Internet service, or other IT solutions you offer, and make real changes right away when you contact IT VPs. Mailing list solutions from Bookyourdata.com have all of the information you need to get connected (note that this list only includes those whose job title is chief or VP of IT): emails, phone numbers, postal addresses, company information, and more! Often serving under CIOs, powerful, influential VPs of IT will have a great deal of influence over which software to distribute to their teams, which long-term service to go with, or which hardware should be distributed throughout the company. Is there a better group to reach out to when trying to get your IT solution in front of the right eyes? We've done all of the legwork for you by pulling a spread-out group of numerous VPs of information technology into one place: a ready-to-download .CSV file, which can be pulled into your CRM right away. It's that easy: Buy a VP of information technology email database, get all of the information you need, integrate it, and start your email marketing campaign, telemarketing, or direct mailing within minutes. Encourage the senior executives and c-level leaders of IT across several institutions to buy your products, and make more sales by starting with quality sales leads. Connect with vice presidents of IT now.